Max Malins is a name you may be hearing a lot more of in the future. 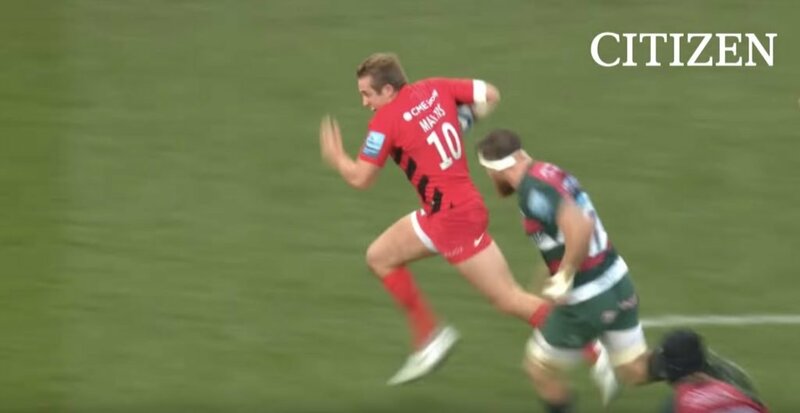 The young Saracens fly-half was given one of his first opportunities in the ten shirt and he truly took it with both hands after setting up a brilliant try for winger Alex Lewington. Just check out the pass after that run, that’s not easily done.